The Health Information Technology for Economic and Clinical Health Act of 2009 provides incentive payments to eligible hospitals and providers that demonstrate the meaningful use of a certified electronic health record (EHR) system. In 2010, the Office of the National Coordinator for Health Information Technology began certifying EHR systems as having the capabilities that could enable meeting meaningful use criteria. A new NCHS report uses the National Electronic Health Records Survey to describe physician adoption of certified EHR systems from 2013 to 2014 across the United States and the extent to which physicians with certified EHR systems share patient health information. 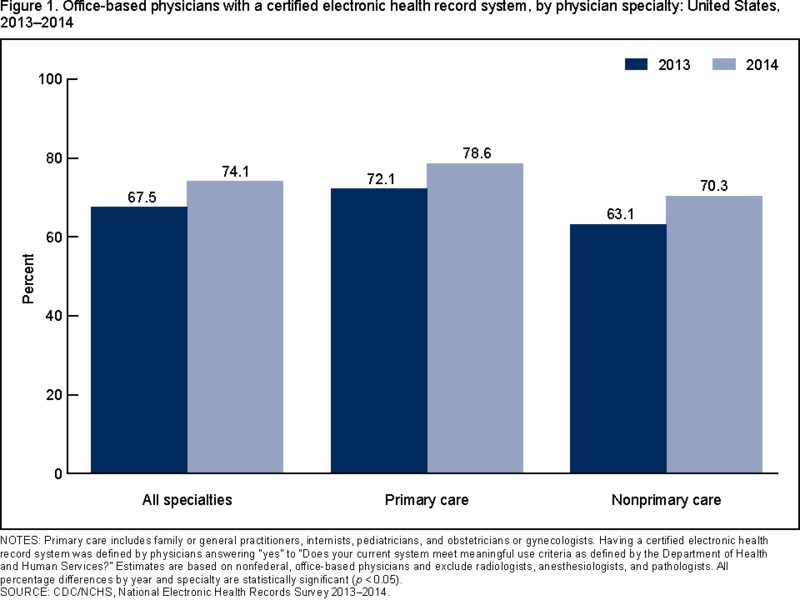 In 2014, 74.1% of office-based physicians had a certified EHR system, up from 67.5% in 2013. In 2014, 32.5% of office-based physicians with a certified EHR system were electronically sharing patient health information with external providers. 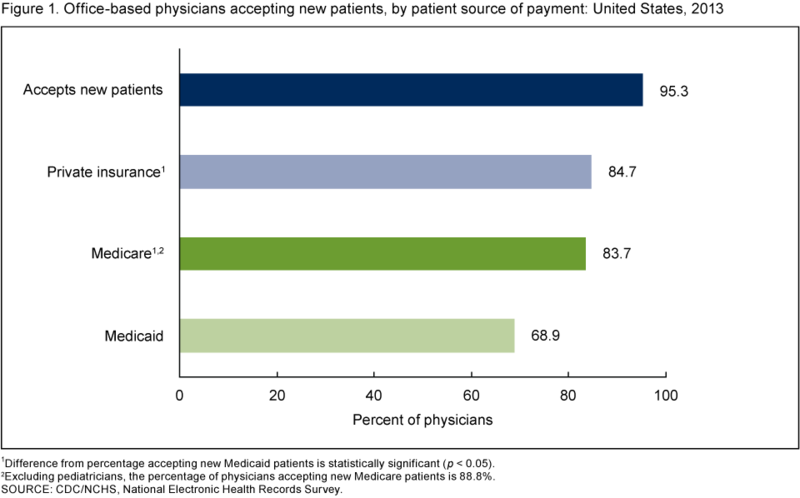 The percentage of physicians with a certified EHR system electronically sharing patient health information with external providers ranged from 17.7% in New Jersey to 58.8% in North Dakota. You are currently browsing the archives for the National Electronic Health Records Survey category.